Thank you for all the legal information! Our church is recording a CD of cover worship songs to give away free to the community. As long as we don’t sell the CD’s, do we still need to pay royalties to the artists? If we secure a mechanical license for each song and the artist gives us permission, do we still pay royalties to the artists? Becky, David is unavailable this week. We didn’t want your question to go unanswered, though, so we did a little research. We thought that maybe your church’s CCLI would cover this, but the CCLI website clearly states that their licenses do not cover recording and producing a commercial CD. Creating and distributing (even not charging for the CDs) these recordings pulls in the original artists’ reproduction and distribution rights. Obtaining mechanical or compulsory licenses clears you; these are available from the copyright owner or from Harry Fox. 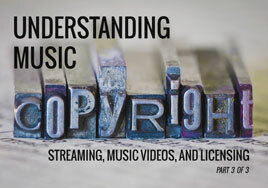 If you go through the copyright owner, they may or may not choose to waive the royalties. If you go through Harry Fox, the process of obtaining the license asks for the songs in question, the length of the recordings, and the number of copies you’ll be making. If there are 10 songs on your CD, the songs are all under 5 minutes, and you’re ordering 1000 copies, your cost will be $910 plus the per-song registration fee of $14. So, $1050 total. That $910 is the royalty that gets paid to the copyright owners. It’s $.091 per copy per song (under 5 minutes). We hope this helps clear the issue up.